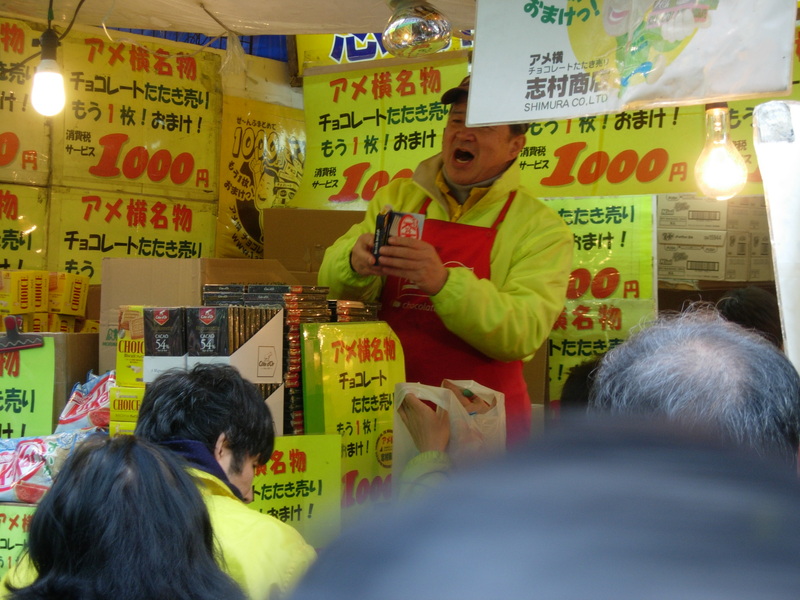 This candy shop, overflowing with chocolates and sweets is famous for its 1000 yen bags. 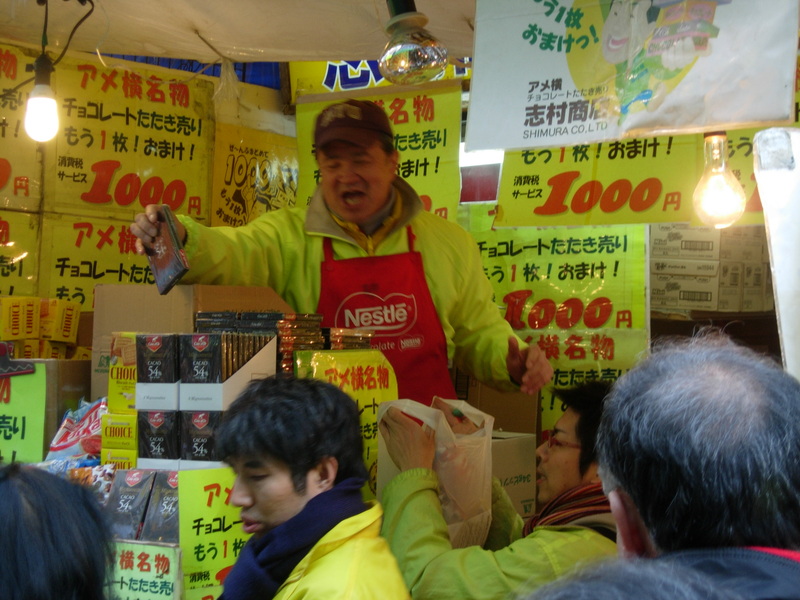 It is a show where an enthusiastic salesman shouts out to the customers as he fills a bag up with candies, sweets, and snacks. It is usually filled with kids in school uniforms visiting Tokyo from the countryside. 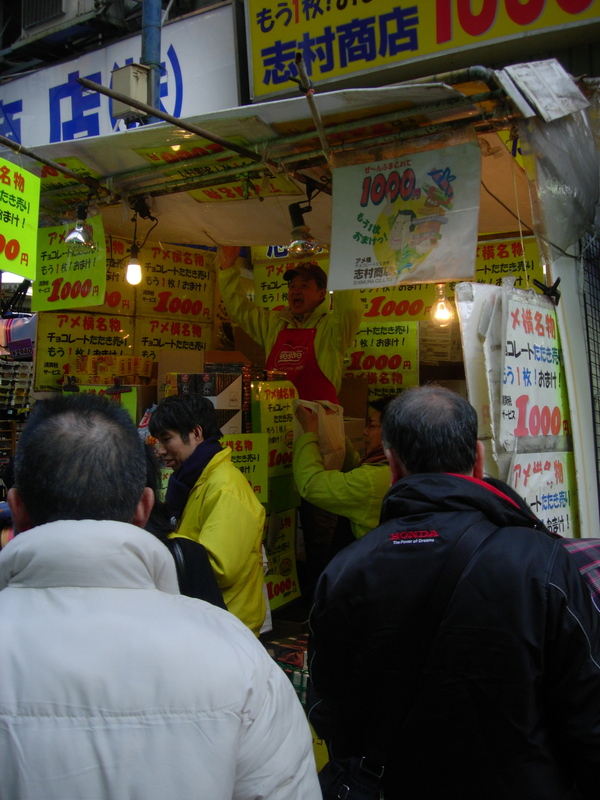 It is often featured on TV programs showing highlights of the Ameyoko Market.